Boys' round neck t-shirt made from a comfortable, elasticated fabric. 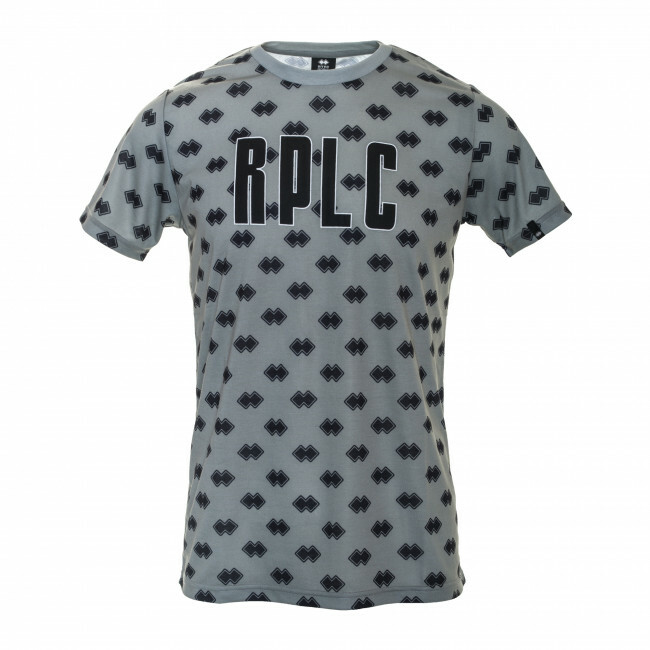 The design is characterized by the letters RPLC on the chest paying tribute to the Erreà Republic line intersected with all-over graphics bearing the iconic company trade mark which inspired the collection. Composition: Jersey Polyester 100% Polyester.